In this cozy living room you will feel right at home. What a wonderful relaxed atmosphere, the perfect place to settle down during a day at the beach. The menu is filled with famous delicacies that perfectly match this relaxed environment. Here the chef likes to use local products that are also organic. Sustainability is clearly of paramount importance. Wij zitten ter hoogte van het museum Beelden aan Zee. The menu was extensive (several vegetarian choices). I had the beetroot burger which was very tasty. Children’s menu with kibbeling was great value. Service was attentive and fast. 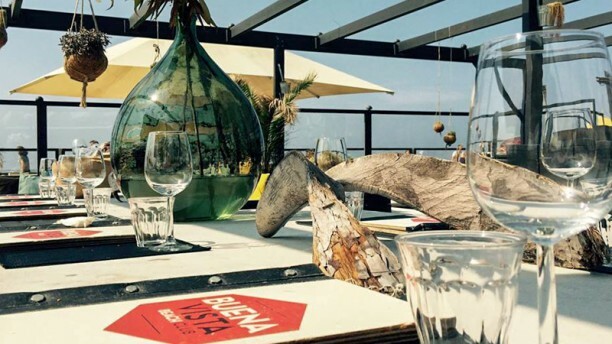 Nice place in Scheveningen. Lovely terrace and sitting. Prices as usual in the area. We had lunch and the food was good. If you want to relax and enjoy the sun while having some food and drinks, this is the place. unfortunately, one of the worst experiences ever in the netherlands. half an hour to be served and almost 2 hours (!!!!) to get hamburgers.